Discos en vinilo y CD de Strut. 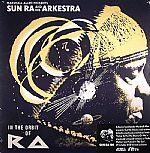 Sun Ra & His Myth Science Arkestra - "Somewhere In Space"
Sun Ra & His Solar-Myth Arkestra - "The Lady With The Golden Stockings"
Sun Ra & His Afro Infinity Arkestra - "Somebody Else's World"
Sun Ra & His Solar-Myth Arkestra - "Plutonian Nights"
The Sun Ra Arkestra - "Angels & Demons At Play"
Sun Ra - "Island In The Sun"
Sun Ra - "Rocket Number Nine Take Off For Planet Venus"
Sun Ra & His Arkestra - "Afro Black"
Sun Ra & His Intergalactic Infinity Arkestra - "Have You Heard The Latest News From Neptune"
Sun Ra & His Myth Science Arkestra - "We Travel The Spaceways"
Sun Ra - "Ancient Ethiopia"
Sun Ra - "Spontaneous Simplicity"
Sun Ra - "Solar Differentials"
Sun Ra - "Dance Of The Cosmo Aliens"
Sun Ra & His Solar Arkestra - "Planet Earth"
Sun Ra & His Myth Science Arkestra - "The Nile"
Sun Ra & His Arkestra - "Interplanetary Music"
Review: There have been plenty of retrospectives on the absolutely essential work of Sun Ra and his Arkestra over the years, but trust Strut to go that bit deeper when they elected to focus on the Sun God himself. As the extensive title suggests, this collection places the focus on proceedings in the hands of Marshall Allen, the longest serving member of the Arkestra and current band leader. The results mean In The Orbit Of Ra feels a whole lot more personal and indepth, with over 25 years worth of Sun Ra-lead music documented. It's all been fully remastered from the original tapes and is pretty much the most conclusive introduction to the work of this pioneer one could hope for. In addition to the 13 track double vinyl set, this release also includes the double CD edition which includes a further 7 Ra gems! Review: Arthur Russell's legacy has remained strong long after his untimely death in 1992, most notably in recent times with the highly respected music critic Tim Lawrence unveiling his must read biography last year; this follows a documentary Wild Combination and a collection of cover versions released by Electric Minds. It is perhaps this latest musical project presented by the good people at Strut Records that will be of most interest to fans of Russell's work. Arthur's Landing is a collective of musicians who worked with the producer and cellist throughout his varied musical career. Led by guitarist Steve Hall, the ever morphing group of musicians have made a commitment to sustaining Russell's musical legacy and have spent the last few years touring and performing new arrangements of tracks from the Russell canon and they present twelve of them here on this enlightening album which has been produced by contemporary NYC icon Brennan Green. The album lovingly presents unique takes on both well known and unheard Russell tracks - witness the shimmering beauty of their take on "Is It All Over My Face" for just one example. Strut surround themselves with so many great music projects you'd have to wonder what a gaping hole would be left if they weren't around. Review: While many avid Mulatu fans will no doubt already own a copy of the master's first - and perhaps most ingenious - work from 1972, one can certainly rely on the mighty Strut to put together a fine reissue. Of note, unlike the many versions which have been retrained by Worthy Records over the years, this new take includes many little extras that are special enough to tempt even the most munitioned Mulatu collectors; aside from seven tracks from Mulatu Of Ethiopia, an utterly inimitable psychedelic jazz journey that defined Ethiopia's entire sound in relation to the genre, this new version includes a whole selection of previously unheard cuts. There are mono album mixes of all the original tunes plus a wide selection of 'takes' from the original recording session, so this LP should have no problem in working up a bit of hype and hysteria from the original-pressing-junkies. This is an essential, highly recommended! Review: These days, Mulatu Astatke is widely considered to be the "Godfather of Ethiopian jazz". Yet when he recorded the two-part "Afro-Latin Soul" album in 1966, he'd just left music college in Boston. As this fine reissue proves, Astatke was years ahead of the game. While rooted in American jazz from the period, all tracks draw heavily on Cuban jazz, in particular, as well as Ethiopian musical traditions. 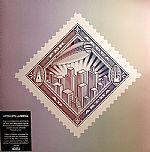 In truth, the latter aspect doesn't come through quite as strongly as you'd perhaps expect, though some of the album's highlights - the brilliant "Soul Power" in particular - draw more heavily on the percussive polyrhythms of Africa. Regardless, this is a superb set of forward-thinking global jazz that delivers high quality entertainment from start to finish. Review: These days, Mulatu Astatke is widely considered to be the "Godfather of Ethiopian jazz". Yet when he recorded the two-part "Afro-Latin Soul" album in 1966, he'd just left music college in Boston. As this fine reissue proves, Astatke was years ahead of the game. While rooted in American jazz from the period, all tracks draw heavily on Cuban jazz, in particular, as well as Ethiopian musical traditions. In truth, the latter aspect doesn't come through quite as strongly as you'd perhaps expect, though some of the album's highlights draw more heavily on the percussive polyrhythms of Africa. Regardless, this is a superb set of forward-thinking global jazz that delivers high quality entertainment from start to finish. Review: Two tracks taken from the new self titled album on Strut from guitar legend Dennis Coffey, the man responsible for the B-Boy classic and million-copy selling ''Scorpio''. Dennis was also a member of the Motown Funk Brothers backing band and was key to bringing heavy wah wah guitar to soul and R&B during the late 60s. Stones Throw artist Mayer Hawthorne assists on the A Side, covering a George Clinton penned track with Mayer's vocals sounding soulfully sweet. On the flip Milwaukee outfit Kings Go Forth get to grips with a new composition, a fantastic dancefloor shaker with funk rock overtones and heavy on the Hammond organ. Tough stuff all round - Dennis Coffey is back! Review: Thanks to an upsurge in interest in zouk, the synthesizer-heavy tropical style that emerged from the French Antilles in the early 1980s, reissues of superb but hard to find gems from the style's original heyday are becoming increasingly popular. This one from Strut Records is a peach. Originally released in 1988, "Las Pale" is the sole album from Feeling Kreyol, a female trio from Guadeloupe assembled and produced by local studio buffs Darius Denon and Frankie Brumier. It remains a brilliantly effervescent and colourful set, with the trio adding strong and attractive to distinctively tropical drum machine rhythms, shimmering synths, kaleidoscopic melodies and jangling guitars. In other words, it's a giddy blast of electronic tropical brilliance. Don't sleep. Intérprete: Dj N◉va ▶ Rodon FM 95, RUSTAM OSPANOFF. Tuxedomoon - "59 To 1"
Psyche - "Te Saint Became A Lush"
Propaganda - "(The Echo Of) Frozen Faces"
Experimental Products - "Work That Beat"
Crash Course In Science - "Jump Over Barrels"
Liaisons Dangereuses - "Etre Assis Ou Danset"
Esplendor Geometrico - "Necrosis En La Poya"
Test Dept - "The Unaccepatable Face Of Freedom: Face 3"
Mile High Club - "Walking Backwards"
Front 242 - "Body 2 Body (2Trax)"
Visa Versa - "Riot Squad"
Chris & Cosey - "Driving Computer"
Doris Norton - "Personal Computer"
Plus Instruments - "Vom Ertrunkenen Madchen"
Conrad Schnitzler - "Das Tier"
Arthur Brown & Craig Leon - "The Conversation"
Godley & Creme - "Babies"
Intérprete: MR. Scruff, I Love Disco! Review: Last year Strut released the superb debut EP from Kondi Band, a collaboration between blind, Sierra Leone-based thumb piano player Sorie Kondi and American DJ/producer Chief Boima. 12 months on, the duo is ready to release their debut album. It's a wonderfully evocative set that pits Sorie's traditionalist vocals and thumb piano work - informed by years spent busking on the streets of Freetown, Sierra Leone - with Boima's globally informed electronic rhythms and sounds. While the latter's beats and basslines that provide the platform, it's Sorie who emerges as the star, both as vocalist and chief melody-maker. The results are evocative, atmospheric and rarely less than hugely impressive. Review: 12-piece improvisational outfit Nubiyan Twist made a big impression with their 2015 debut album (also called "Nubiyan Twist"), a set that gleefully joined the dots between Afrobeat, jazz, hip-hop, soul and much more besides. Here they make their debut on Strut Records with two more reasons to be cheerful. A-side "Tell It To Me Slowly", featuring guest vocals from Nick Richards, is particularly good, with soulful male and female vocals rising above a loose-limbed broken beat rhythm, warm electric piano riffs, jazzy guitar solos and Afro-tinged horns. Nubiya Brandon joins in the fun on flipside "Sugar Cane", a lolloping, head-nodding slab of hip-hop soul/dub fusion that's as delicious as a Michelin-starred meal and a fraction of the price. Review: After debuting with their killer self-titled album back in 2015, Nubiyan Twist are back in full force with this incredible album on Strut. This is broken beat in full widescreen technicolour, with the hefty size of the band and their incredible chops whipping up all kinds of soul stirring patterns and shapes. There's a strong list of guests too, from Nick Richards to Pilo Adami, and not least the legendary ethio-jazz pioneer Mulatu Astatke. From spiky futuristic workouts to delicate bossa inspired trips and drawing on a rich tapestry of cultural influences, this album bursts with life at every turn. Banda Los Hijos De La Nina Luz - "Quiero Amanacer"
Les Ya Toupas Du Zaire - "Je Ne Bois Pas Beaucoup"
Fair Nick Stars - "Arrete Mal Parle"
Adolfo Echeverria - "Sabroso Bacalao"
El Timba - "Descarga Bontempi"
Ti Celeste - "Popilation Basse-Terriene Au Abois"
Mighty Shadow - "Dat Soca Boat"
Kyerematen Stars - "Maye Obi Den"
Quantic Y Su Conjunto Los Miticos Del Ritmo - "Cumbia De Mochilla"
Roaring Lion - "Carnival Long Ago"
Gnonnas Pedro - "Yiri Yiri Boum"
Review: Another superb and intricately detailed document from Strut's dedicated archivists, Sunburst's short but hugely prolific activity between '73 and '76 is captured here in all its melting pot glory. Not just their one and only album but all 45s and unreleased recordings too. With six members from across the continent, the fusion, ideas and energy is palpable... Especially on full-screen tracks such as "Kamungulwe" where blues, rock and Tanzanian folk bubble and pop to a climax and "Alhamdullilah" stomps with a sweaty theatrical rock while "Ave Africa" finds the perfect merging point between Afrobeat and jazz. The band's live pedigree is also full screen with that rawness to the recordings that feels like they're in the same room. Addictively rich. Review: In afrobeat circles, Ghanaian highlife guitarist Ebo Taylor has long been regarded as one of the scene's most undervalued talents. During his golden period during the 1970s, Taylor was responsible for some landmark recordings - not just as an artist, but composer, arranger and producer. This comprehensive set from serial crate-diggers Strut revisits that fertile period, gathering together the best of Taylor's solo, collaborative and production work. For those with a passing interest in afrobeat and highlife, it's near-essential. Highlights come thick and fast, from the strangely spaced-out grooves of "Peace On Earth" and lazy afro jazz-funk of "Ohiana Sua Efir" to the epic American R&B stylings of "Aba Yaa". Broadway Dance Band - "Go Modern"
Pat Thomas & The Black Berets - "Obra E Yebo Yi"
Pat Thomas & The Big '7' - "Eye Colo"
Pat Thomas - "Awurade Mpaebo"
Pat Thomas & The Sweet Beans - "Merebre"
Pat Thomas & The Sweet Beans - "Revolution"
Pat Thomas & Marijata - "We Are Coming Home"
Pat Thomas & Marijata - "Let's Think It Over"
Pat Thomas & Marijata - "Brain Washing"
Pat Thomas & The Sweet Beans - "Set Me Free"
Pat Thomas & Marijata - "I Can Say"
Pat Thomas & Ebo Taylor - "Ma Huno"
Pat Thomas - "Mewo Akoma"
Pat Thomas & Marijata - "I Need More"
Super Sounds Namba - "Who's Free"
Pat Thomas - "Can't You See"
Ibo Combo - "Ti Garcon"
Les Vikings - "Choc Vikings"
Les Animateurs - "Ti Machine"
Trio Select - "Ensemble Select En Acition"
Les Loups Noirs - "Pile Ou Face"
Tabou Combo - "Ce Pas"
Les Fantaisistes De Carrefour - "Panno Caye Nan Bois D Chene"
Ti Paris - "Cochon St Antoine"
Super Jazz Des Jeunes - "Cote Moune Yo"
Les Ambassadeurs - "Homenaje A Los Ambajadores"
Les Freres Dejean - "L'Artibonite"
Les Pachas De Canape Vert - "Desordre Musical"
Scorpio Universal - "Ti Lu Lu Lu Pe"
Rodrigue Milien Et Son Groupe Combite Creole - "6eme Lecon"
Ra Ra De Logane - "Gade Moune Yo"
Les Difficles De Petion-Ville - "An Septieme"
Raoul Guillaume - "Mal Lev"
Pierre Blain Et Orchestre Murat Pierre - "Jouc Li Jou"
Ensemble Meridional Des Cayes - "Calma P Lerin"
Ensemble Etoile Du Soir - "Messe Quatre Heures"
Nemours Jean-Baptiste - "Ti Carole"
Orchestre Septentrional - "Bapteme Ratt"
Webert Sicot - "Ambiance Cadence"
Orchestre Tropicana D Haiti - "Poun Paciance"
Review: By now a well-oiled machine, the Strut compilation programme switches attentions to the Caribbean and Haiti in particular with Haiti Direct: Big Band, Mini Jazz & Twoubadou Sounds 1960-1978. The double LP package (which comes with 2CD edition too) was compiled by Hugo Mendez, the Paris-based DJ whose work as part of the Sofrito collective ensures him the perfect position to curate this release in a manner few can match. This impressive collection of tracks documents the country's overlooked musical legacy from the '60s and '70s , going beyond Ra-ra and voodoo stereotypes to trace the development of a unique sound that echoed across the Caribbean. The exploratory package also includes in-depth liner notes and interviews with some of the musicians of the era, with part of the release's profits donated to the Partners In Health charity. Kabasa - "Unga Pfula A Chi Pfalo"
Elias Maluleke & Mavambe Girls - "Khombo Ranga"
The Actions - "Kokro-Ko (Hide & Seek)"
TY Boys - "Lekopokopo Single Moqashoa"
Almon Memela - "The Things We Do In Soweto"
The Movers - "Soweto Disco"
Abafana Bama Soul - "Masisizwane"
Isaac & The Sakie Special Band - "Get Down"
Marumo - "Khomo Tsaka Deile Kae?" The Drive - "Ain't Sittin' Down Doin' Nothing"
Prince Nico Mbarga & Rocafil Jazz - "Sickness"
Felixson Ngasia & The Survivals - "Black Precious Colour"
Saxon Lee & The Shadows International - "Special Secret Of Baby"
Osayomore Joseph & The Creative 7 - "Obonogbozu"
International Brothers Band - "Onuma Dimnobi"
Don Bruce & The Angels - "Kinuye"
Rogana Ottah & His Black Heroes Intl - "Let Them Say"
Etubom Rex Williams & His Nigerian Artistes - "Psychedelic Shoes"
Sir Victor Uwaifo & His Titibitis - "Iziegbe (Ekassa No 70)"
MA Jaiyesimi & His Crescent Bros Band - "Mundiya Loju"